Now that the Space Shuttle missions are ending, NASA is cleaning house. While complete shuttles are for sale at 50 percent off "retail," the deal of the century must be the free engines. These spare engines were originally offered for sale for between $400,000 and $800,000 back in 2008. With the shuttle program coming to a close and no takers on the sale, just pay the price of shipping, and you could have your very own engine. Who would be better -- FedEx or UPS? Want the full Monty? For a discounted, bargain-basement price of a mere $28.8 mill, you can purchase your very own Shuttle — the Endeavour and Atlantis are both available, and the shuttle Discovery is heading to the Smithsonian. The prototype shuttle Enterprise, which never made it to space, might also be up for grabs. 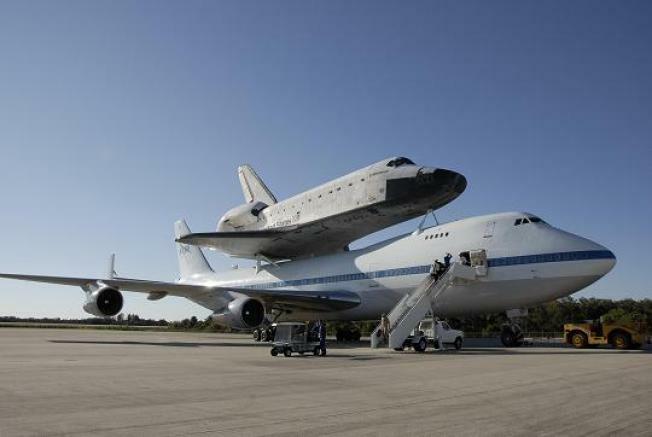 The cost includes transportation from Kennedy Space Center to a major airport. So far, about 20 institutions have expressed interest. Want a shuttle? The deadline to make an offer is February 19, 2010, and delivery will be by 2012. Do you have to pay more to ship by Priority Mail?